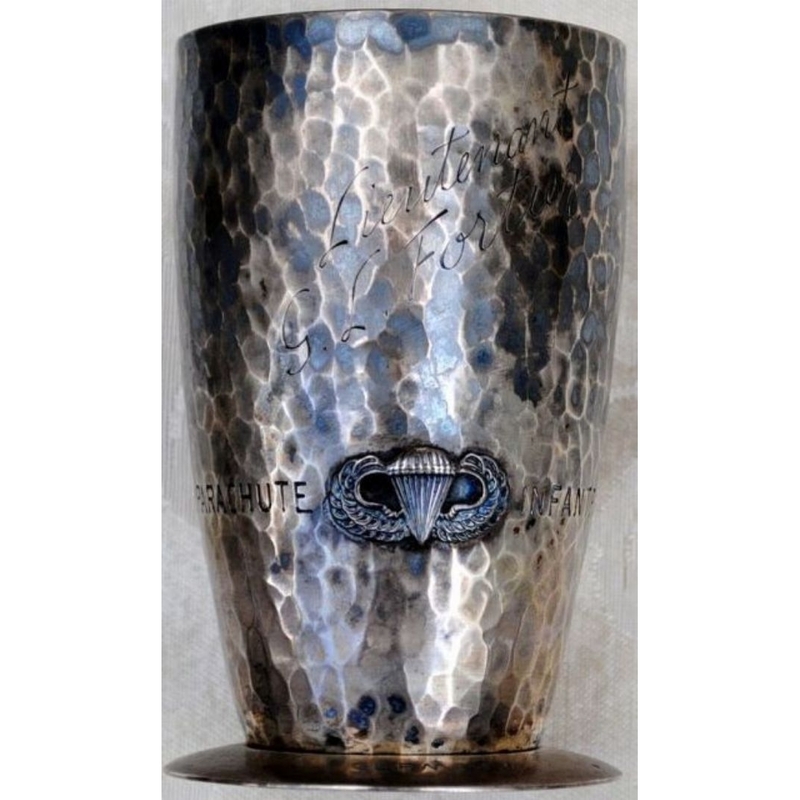 I am always interested in acquiring examples of these cups…Please contact me if you have or know of any for sale. 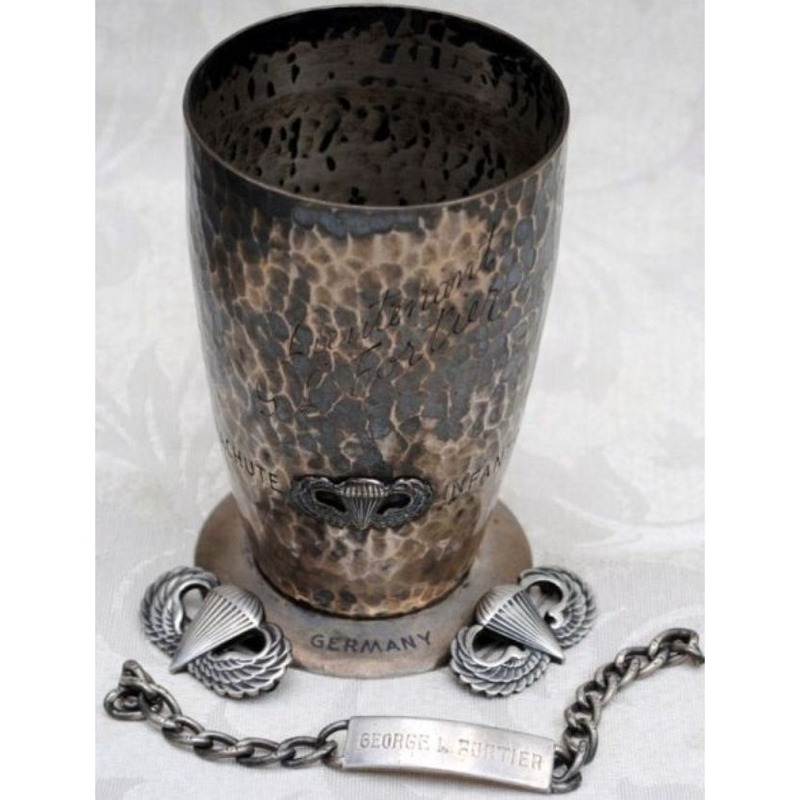 …silver coins from a German SS payroll found at a railroad siding by the Landsberg, Bavaria, Germany, area work campliberated by the 506th PIR in April 1945 were later used to make cups for 506th PIR Officers, and the additional silver needed to make these cups was liberated from Hitler’s private dining room in the famed Eagle’s Nest atop Kehlstein Mountain near Berchtesgaden, Bavaria, Germany in May 1945. 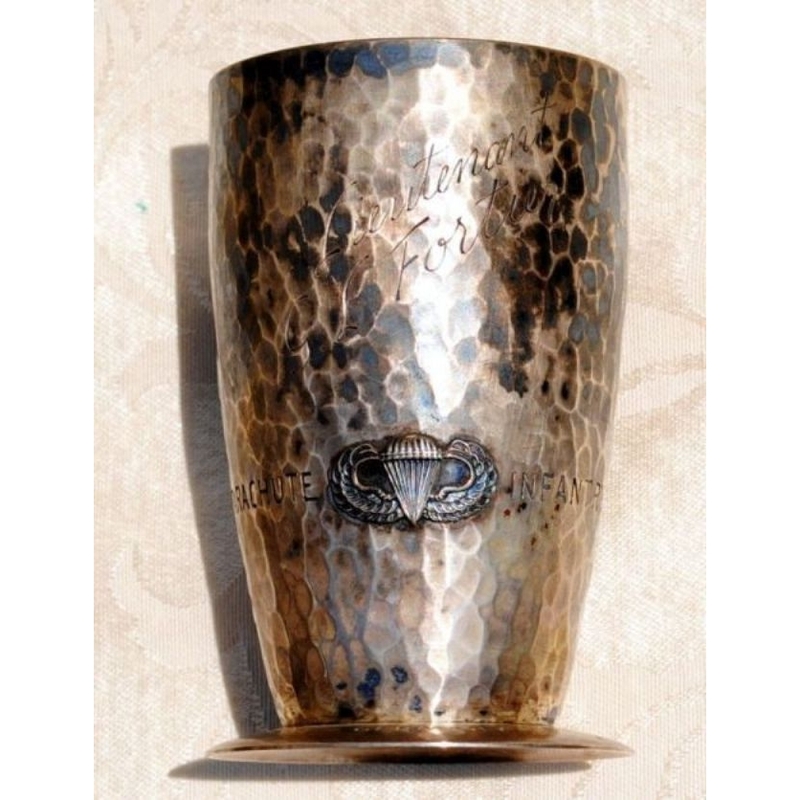 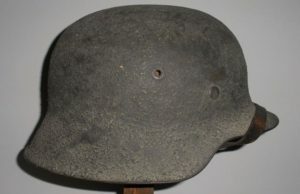 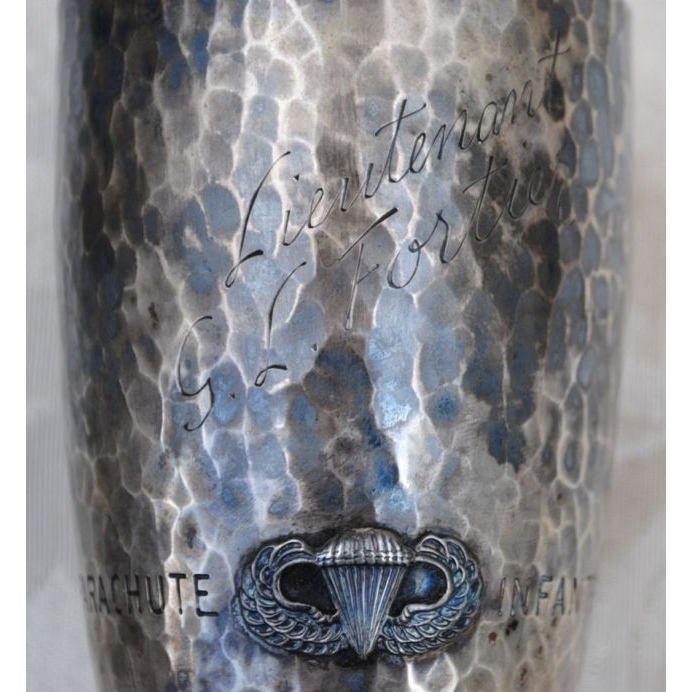 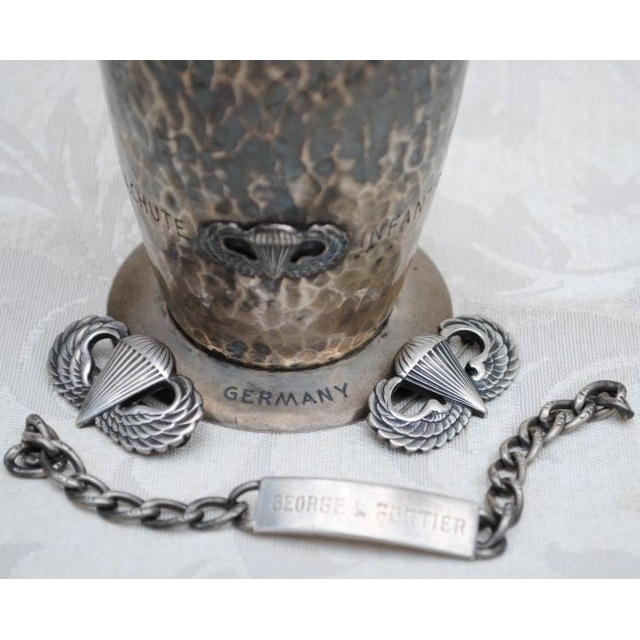 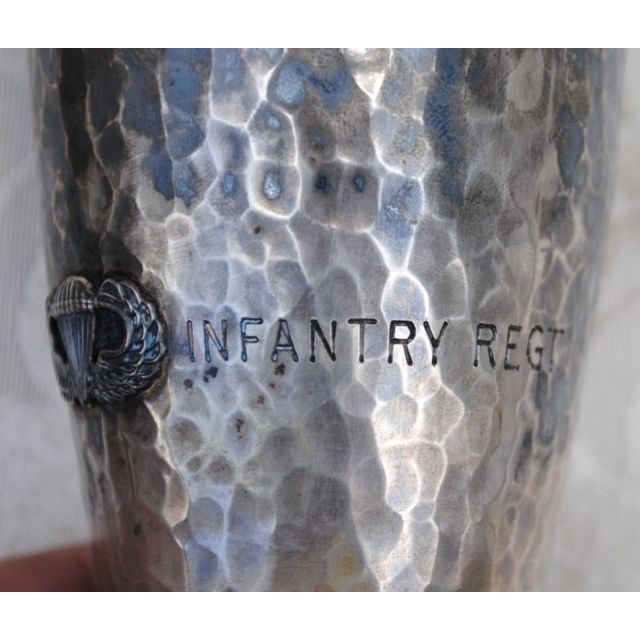 …the 506th PIR officers sent the chalices to a silversmith in Saalbach, Austria, northwest of Zell Am See, where for 7 Reichs-marks per chalice, the silversmith added the under-sized jump wings andengraved the name, rank and campaigns of each officer. 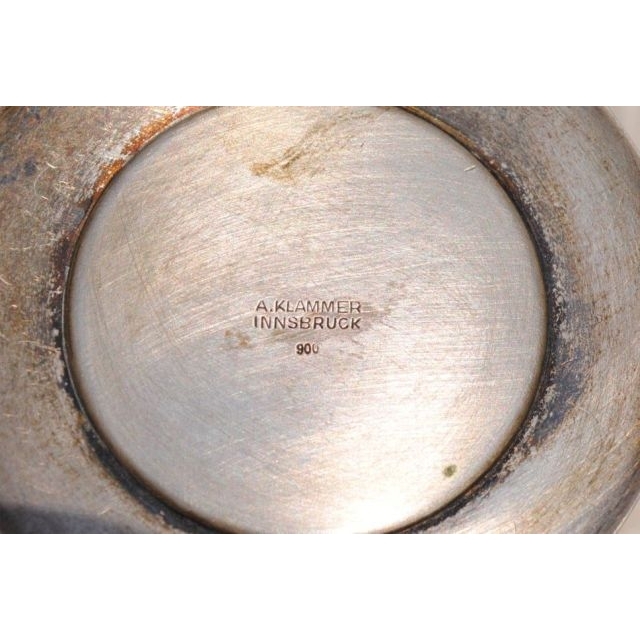 The officers also had a wooden case made to hold the cups and the Sink Grail. 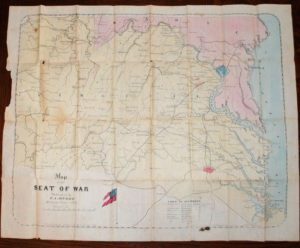 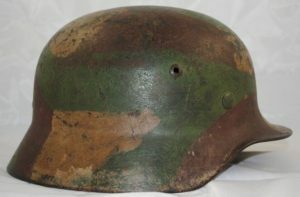 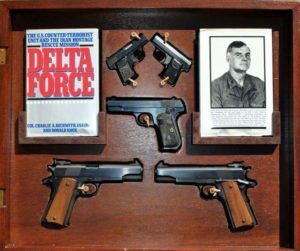 The case had an inlaid wood Parachute Reserve on the front. 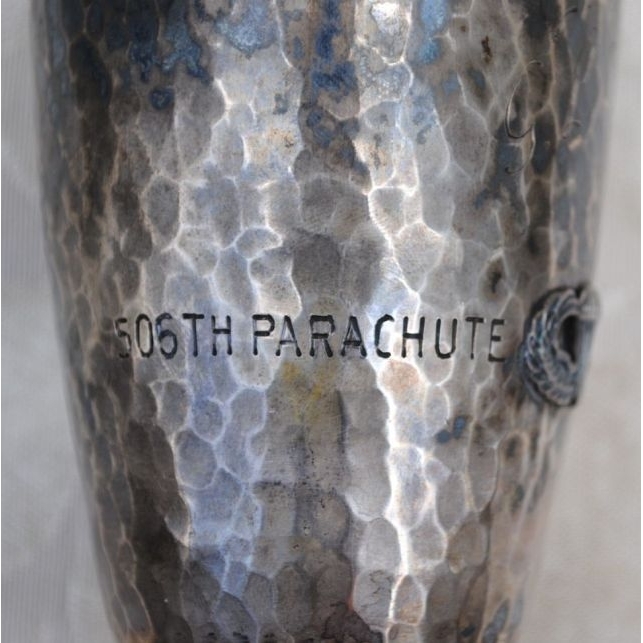 As each officer left the 506th, they took their cups with them.